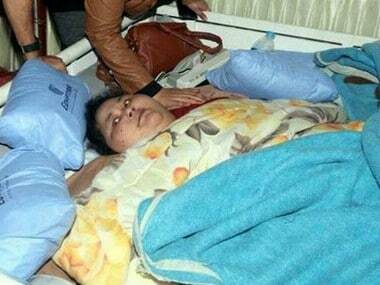 Eman Ahmed, the Egyptian woman who had been the subject of much media attention in India after she came to the country for a dramatic weight-loss medical procedure, passed away on Monday morning. Eman, believed till recently to be the world's heaviest woman, died barely a week after celebrating her 37th birthday, Hindustan Times reported. The Hindustan Times report quoted officers from the Burjeel Hospital in Abu Dhabi as saying that several co-morbidities including heart ailments and kidney dysfunction led to her death. On Sunday, Ahmed suffered a septic shock after which her condition worsened and she suffered multiple organ failure, The Indian Express reported. She had spent her birthday at the Burjeel Hospital with her family, eating her favourite chicken sandwich, The Indian Express report said. Eman Ahmed had weighed 498 kilograms when she arrived in India for the weight-loss procedure. A resident of Alexandria in Egypt, she had not stepped out of her house for more than two decades due to her obese condition. She had suffered a stroke that left her paralysed on one side a year ago. Her sister Shaima had learnt about Mumbai-based bariatric surgeon Muffazal Lakdawala and his expertise in bariatric surgeries and approached him for help early this year. Eman underwent bariatric surgery in March in which doctors reduced the size of her stomach by two-thirds, so as to reduce her food intake. Her genetic tests had shown that she has a rare gene mutation that cannot be cured through surgery. According to Lakdawala, Eman's weight had come down to 170 kilograms when she was taken from India to Abu Dhabi. However, Shaima, in an online video last month, had alleged that she was not receiving proper treatment at the privately-owned Saifee hospital in South Mumbai. She had alleged that the doctors at the hospital made "false claims" about Eman's complete recovery and weight loss of 262 kilograms. The hospital had denied the charge. Eman was treated by Lakdawala and a team of around 15 doctors from various disciplines since she was brought to Mumbai from Alexandria on 11 February this year.